Are they learning while I'm out? Are they being "good" for the sub? Are they respectful to each other? Am I giving them the same or similar activities as if I were there? Now, I'll be the first to admit that I had some students who were challenging for the sub and the students around them. But...in general, working today with the students I reflected on two things...Yes-they were learning in my absence and Yes- they were completing the activities using the iPad even in my absence. In several classes, I had several students who pretested out of the material for this week. They excelled on a voluntary pretest given through our StudyIsland program. 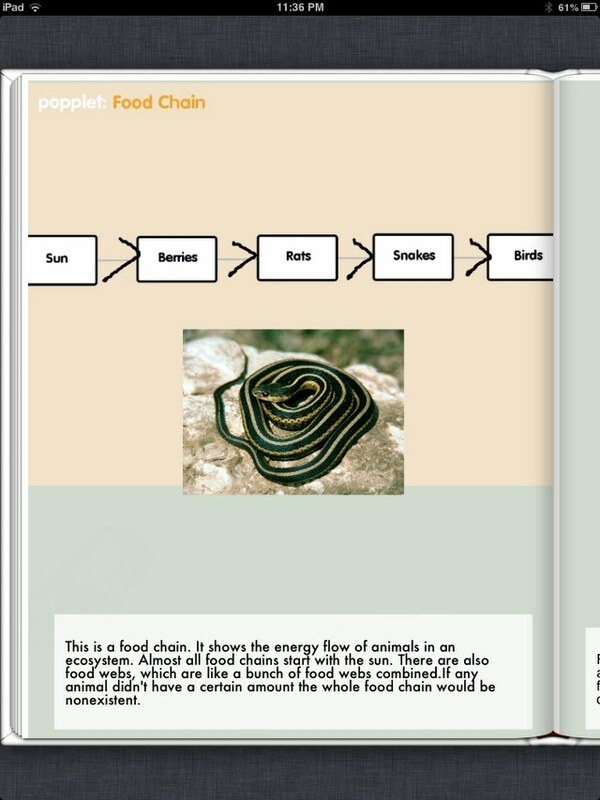 So, they worked independently on their iPads to create ScribblePress books about energy traveling through ecosystems. Given a check sheet of topics that needed to be covered, the students utilized apps such as Popplet, DrawingPad, Safari, ScribblePress, and TypeDrawing to create these books...independently. 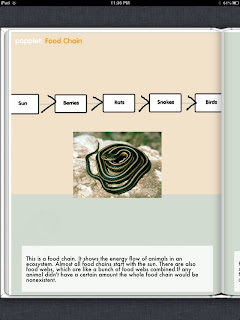 (You see I modeled this for them about 2 weeks ago as we made our field trip books together. They all contributed and then watched me pull it together in ScribblePress app once already. They were set!) HOWEVER...they did have to get a quick tutorial on Dropbox if they were working with a partner. That didn't slow them down though! But, what about other students? What did I have them do with the sub? They did use Edmodo. They used it to share with me while I was away. They discussed their day, what they got accomplished, and what they still wanted to learn. I loved reading their posts! Here is one that just cracked me up! They did use Edmodo to back channel during a Planet Earth video clip. That was really cool to see their thoughts as they watched a segment from Cave ecosystems. Tomorrow, students will be working with their iPads to take a quick StudyIsland follow up assessment. Then, they will be working in MentalCase app for building flash cards for vocabulary. To stay connected with my students, I mentioned that I used Edmodo. But, I also made a video (using iMovie on my iPad and uploading to our school YouTube account) explaining my expectations and where class was headed for the day. And, I was lucky enough to Skype into one of my Science classes with the help of my awesome special education teacher, Karen Lamb. She got us hooked up and dialed in for a fun quick Skype. So, it's been a rough week. But, my students and I are still moving forward, still utilizing our tools, and still learning in science. I'm looking forward to a full, fun week next week. I have a Mystery Skype planned, a ShowMe app lesson planned, and some fun chalk and iMovie action for food webs...yahoo! Gary Talks Programming...Kids Get It!